Crying while grieving is perfectly normal, and is often a healthy way to express yourself during such a difficult time. On the other hand, laughter is often the best medicine, and can be therapeutic to release some of the sadness that is built up inside. 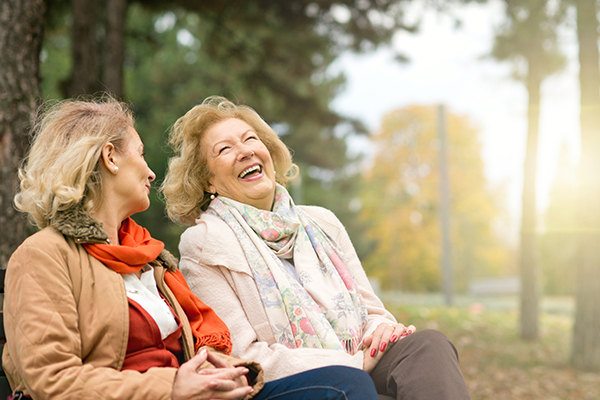 The idea of having a good laugh while you’re grieving may seem far-fetched now, but taking the time to meet up with friends and remember the funny memories can serve as a positive reminder that you can move forward in a positive way. Laughter can heal you and help ease the heavy burden that comes with a loss. Here we have gathered ways on how to laugh when you feel like crying. Meet up with friends- Meet up with friends to reminisce about funny memories of your loved one. Recall the good times, and allow yourself to truly laugh about the light-hearted things you two used to do together and the memories you made. Spend time with children- The tender heart of a child will warm your spirit. Allow yourself to play with them and immerse yourself into their little world and laugh freely. Children can often sense pain and sadness in others, and can give you a sweet outlook on the situation. Look for the humor- Although death itself is not humorous, there is sometimes humor to be found in the situation afterwards. Allow yourself to laugh, as humor can serve as an important coping mechanism to deal with grief and help us to see the positive in our situation. Watch your favorite comedy movie- Laugh at the funny jokes you enjoy, let loose and enjoy yourself. Remember, you don’t necessarily need to feel elated happiness to laugh and enjoy life. Laughter is the best medicine and will help to relieve the additional weight off your shoulders. Listen to your favorite music- Sing and dance around freely to your favorite music. Music can be uplifting, and we can choose it based on how we’re feeling in the moment. Allow yourself to be in the moment and release all your stresses with your favorite song.